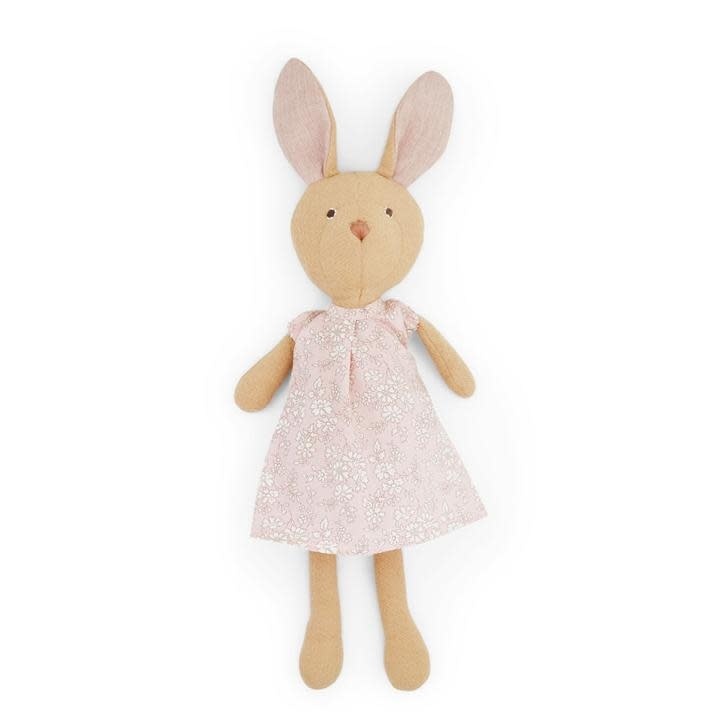 Hazel Village Juliette Rabbit in Tea Party Dress is waiting for you to join her for her five o'clock tea. Sweet and Soft Juliette is a great host. As of late, Juliette has been doing a lot of china painting. Her favorite motif that she made up is of cornflowers. Her second favorite is "pond life," which features tadpoles and waving fronds of algae. 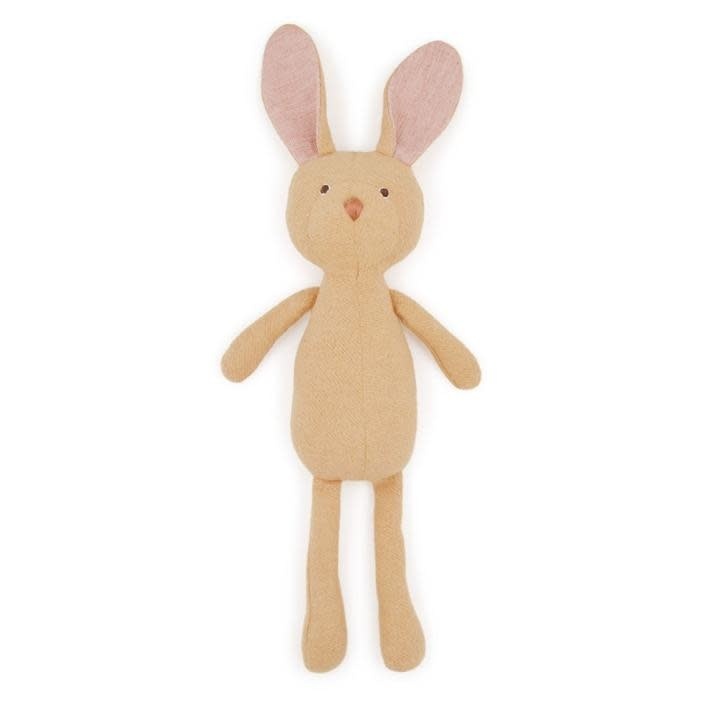 Juliette is made of tan organic cotton fleece, except for her tail which is natural colored fleece. 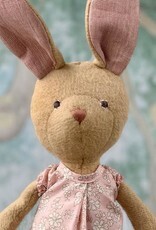 Her ears are lined with light pink colored shirting. She is stuffed with polyfill. 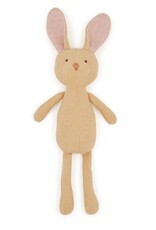 Juliette's face is embroidered with cotton embroidery floss. She measures 15" including ears. 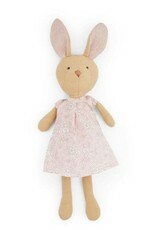 Juliette is wearing a soft organic light pink cotton dress with beautiful white flowers. 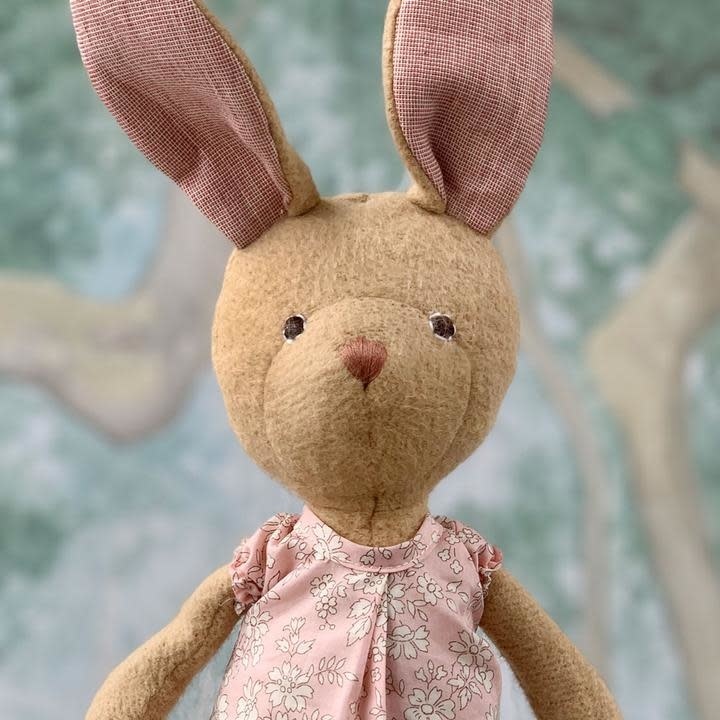 Juliette says this dress is perfect for the tea party she is planning for you and your friends.